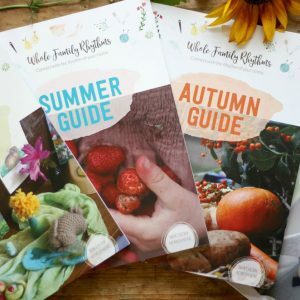 Select a Category above to see our wide range of Seasonal eGuides, Prints, Courses and Membership options for carers with young children at home who want to slow down, create, and connect with the rhythm of the seasons. 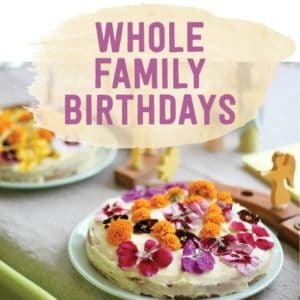 This Guide contains a seasonally inspired Early Childhood Rhythm complete with ingredients and supplies master lists; early childhood stories and fingerplays, and detailed directions for daily themes such as whole foods baking & cooking, watercolour painting, beeswax & salt dough modeling, drawing, crafting, and hiking. 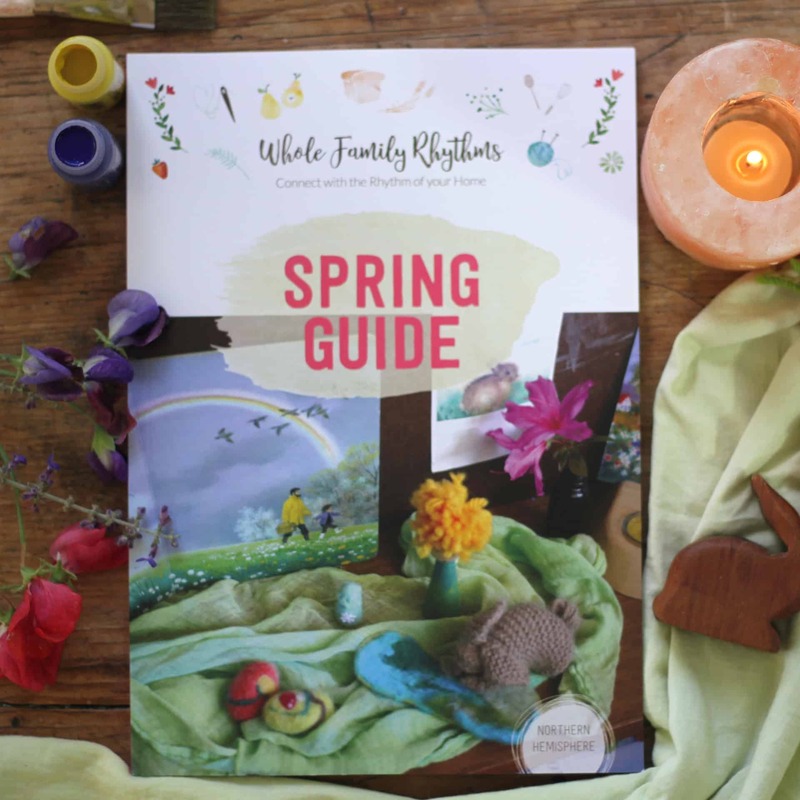 The Guides are designed to help you plan, create, and animate a peaceful, balanced, and holistic rhythm in your home, flowing between structured, adult-led activities and child-led, imaginative free play. 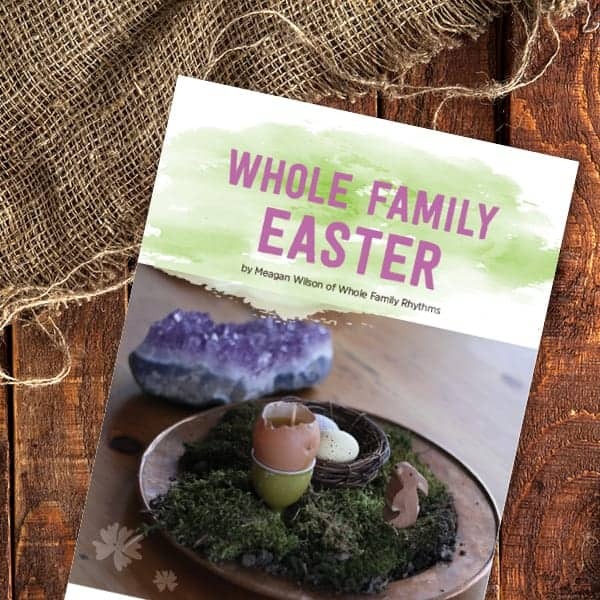 The Whole Family Easter Guide really helped me to reflect upon what I wanted to say and model to my children around this holiday and find ways to celebrate that align with our family values. 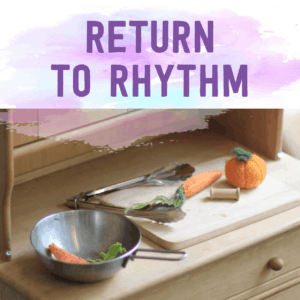 I love the Whole Family Rhythms Guides because they are practical and beautiful. 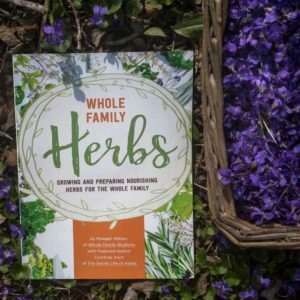 They provide me as a mother and caregiver with so many ideas and resources to help me create our own rhythm. 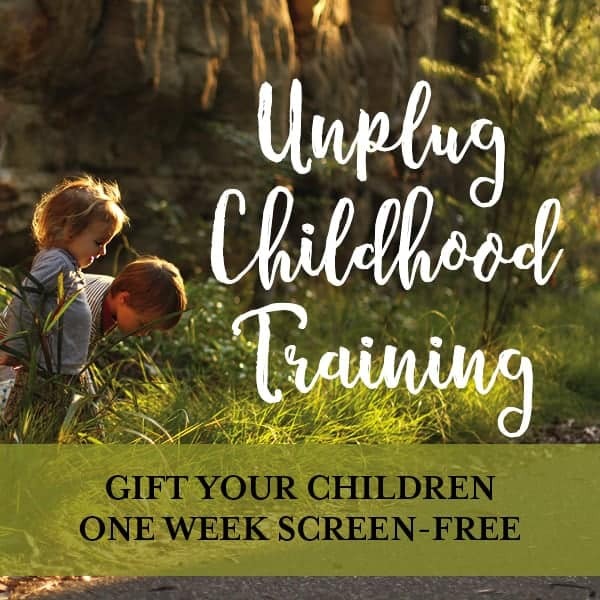 A one-week no-screen challenge to help your family break the vicious cycle and to give you greater clarity and awareness of the use of screens in your family. 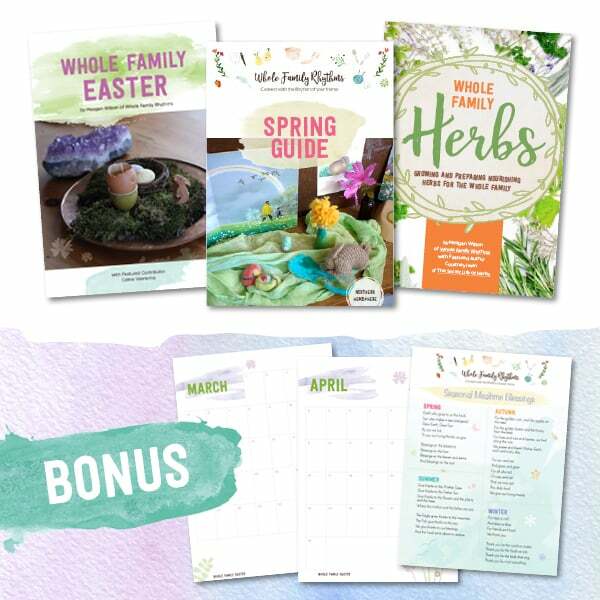 Every Spring-themed Guide together: Whole Family Rhythms Spring Guide, Whole Family Herbs and Whole Family Easter plus two bonus downloads. Daily, weekly and seasonal rhythms are the anchors that provide security and happiness to your child. 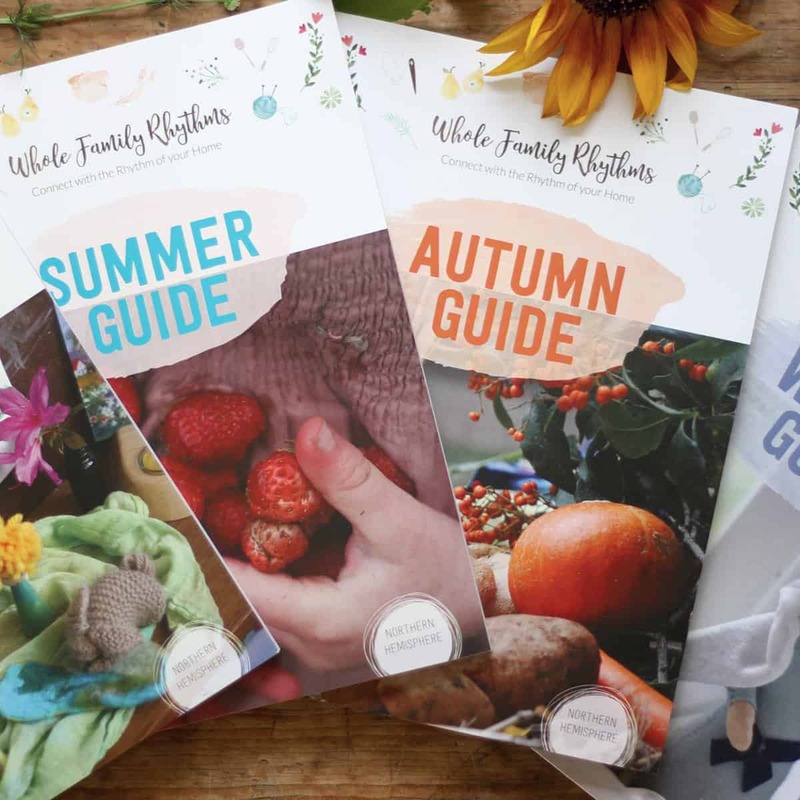 These Seasonal Guides contain everything you need to plan and create this sense of balance and flow in your days at home with young children.